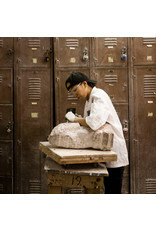 Basic and advanced techniques of direct stone carving - initial roughing out, developing a form, final finishing and polishing are presented. There is a choice of softer stone or marble. Hand and pneumatic tools are both covered. Participants should end the course with the basic knowledge necessary to work on their own. Instruction is individually oriented so that all levels of experience will benefit from this great opportunity. 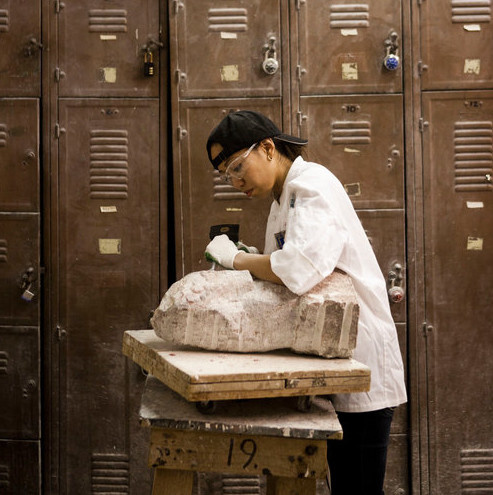 Students will choose the subject matter of their sculpture and learn to find what's in the stone. Basic tools are included in the class fee. But students will need to purchase their own stone. (Usually between $35-$150) All levels of skill are more than welcome. Please call for more details. Once class has begun there are No refunds.